"First of all, a salteña is not an empanada. 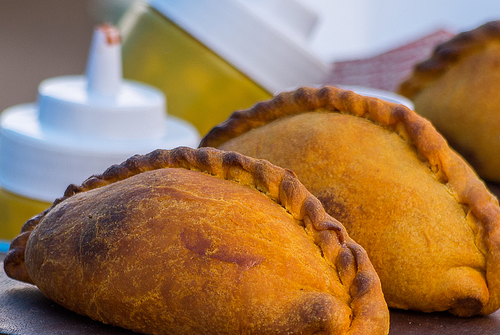 Salteñas are savory pastries filled with sliced beef or chicken, mixed in a sweet, slightly spicy sauce. They also contain a hardboiled egg. We make an awesome vegetarian version with quinoa, smoked mushrooms and squash, too. Each region of Bolivia has its own variation. The salteñas in La Paz are less juicy than their Cochabamba counterparts, while Potosi’s salteñas are flaky and delicious. 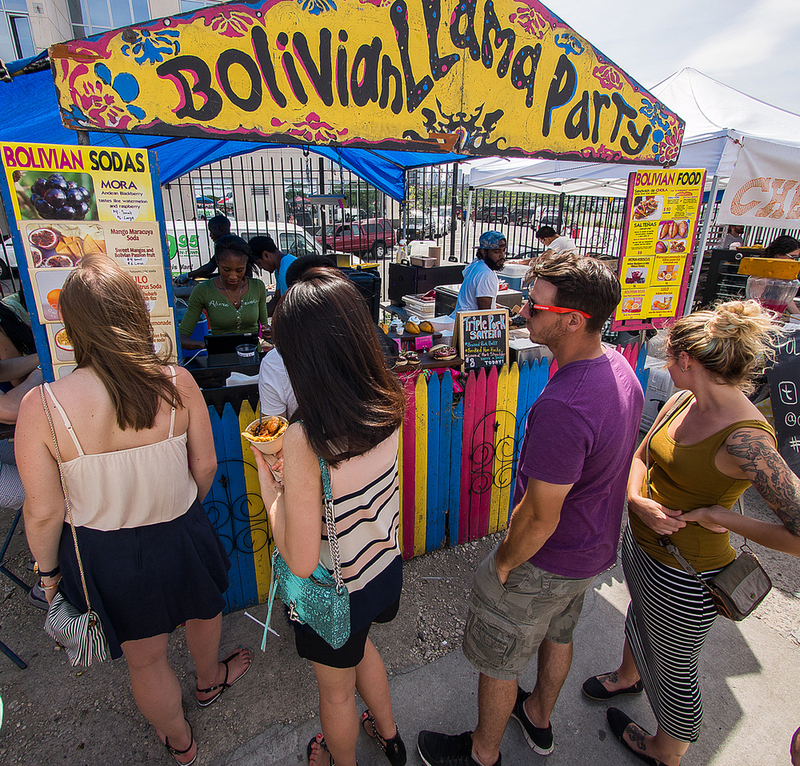 My brothers and I wanted to bring the Bolivian experience to the masses and put Bolivian cuisine on the map in New York. My brother was laid off from his marketing job, and I was just getting out of school with an English degree. My brother had an idea to sell roasted corn and salteñas at street fairs. So that’s how we started three years ago. We’re striving to maintain the authenticity of the salteña. But we’re open to variations. One of our customers was getting married in New Orleans and wanted salteñas at his wedding. So we did a specialty “Down South” Cajun salteña, with Louisiana jumbo shrimp and leeks, and a fricase interpretation with pork belly and anise. He took the salteñas as carry on and sat them on some dry ice. It was a hit, and we were happy!" "We’ve since started making Chola sandwiches, too. It is a typical street food you find in Bolivia: a pulled meat sandwich—in our case triple pork and brisket—topped with pickled vegetables, aioli and crumbly white cheese on a toasted roll. It’s like culinary napalm, it’s so good! Back in Bolivia, in Cochabamba, there is a busy avenue, called El Prado, with a strip of restaurants, bars and chicherias. It’s where everyone goes to take out a date or family. There’s a beautiful promenade at the end of the avenue, but right before it, you’ll see Oogi. It’s a modest looking salteña shop, which boasts, I think, the best salteñas in Bolivia. Don Facundo, the owner, has a wall of salteña accolades, competitions he has dominated for years. He’s the equivalent of a Michelin starred chef in the world of salteñas."